Is your mouth watering? If its not, you must have just eaten a huge meal. Seriously. 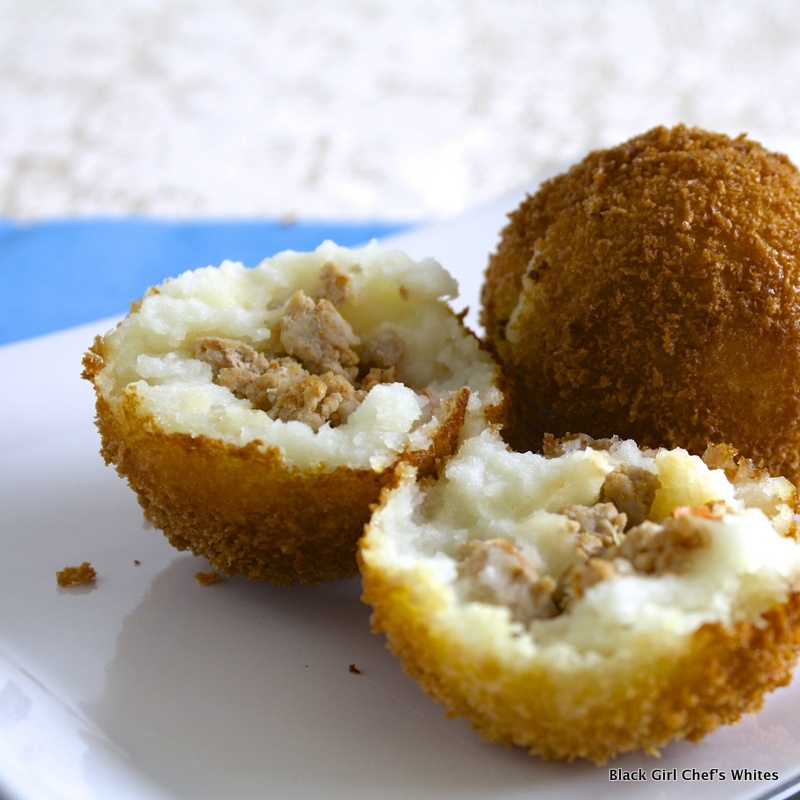 These Cuban papas rellenas are little meat filled balls of deliciousness, perfect for snacking or as an entree. I lightened the filing a bit by using both ground chicken and pork, while insuring a satisfying crunch by covering the papas in panko bread crumbs. 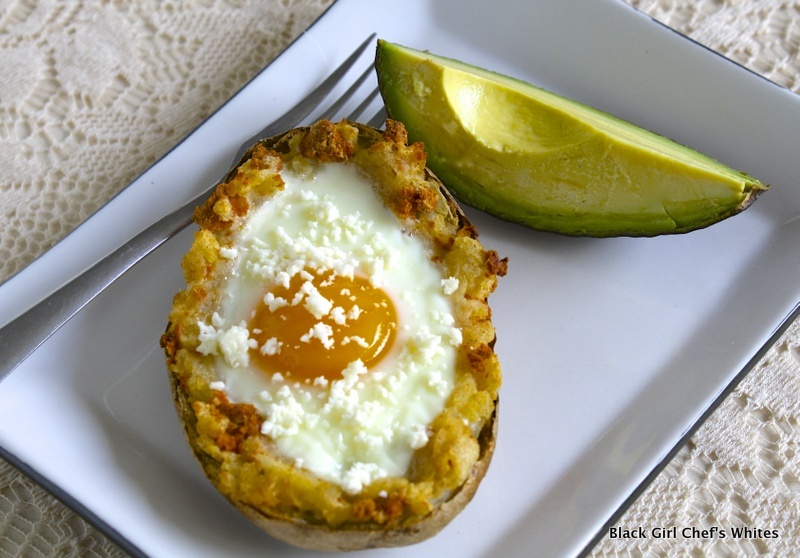 The recipes for both the Idaho® Potato Chicken and Pork Filled Papas Rellenas and the Breakfast Idaho® Potato Skins with Chorizo, pictured below, are available on the Idaho® Potato Commission website, where I happen to be the September 2013 Featured Blogger! So head on over and get these Idaho® potato recipes. You know you want to. I love the Papas at Porto’s! And I must say, I like mine even better!